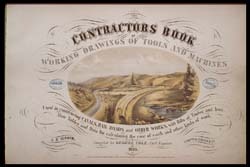 Smithsonian Institution Libraries: Make the Dirt Fly! (1853-1943) No project on earth seemed beyond the capability of late-19th-century civil engineers. More than 100 years of public works construction had given them experience in managing and modifying nature. Beginning in the 1820s, when the first railroads in the United States were formed, the railroad industry became the largest employer and teacher of American engineers. Constructing railroads was remarkably similar to building roads and tow-path canals, which provided earlier engineering challenges. With hands-on training and a legacy of successful construction ventures, U.S. engineers were not intimidated by the complexity of designing and building a canal across Panama. During the 19th century, engineering work once thought impossible was becoming commonplace. 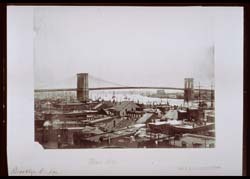 Among the era’s most impressive engineering feats was the Brooklyn Bridge, which was completed in 1883. In the 1830s, British civil engineer David Stevenson traveled to the United States to study American engineering first-hand. He found abundant improvisation and the early signs of a profession confident of its technical abilities. 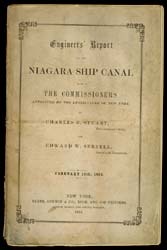 Edward Serrell, co-author of the Engineers' Report on the Niagra Ship Canal, studied engineering at the U.S. Military Academy. Until the mid-19th century, it was the only school in the United States to offer such training. Serrell also helped survey a route for the Panama Railroad. 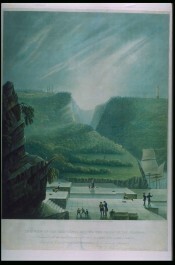 Canal builders were often called upon to alter nature. One of their greatest challenges was Niagara Falls, which obstructed all but local traffic on the Niagara River and the adjacent Great Lakes. 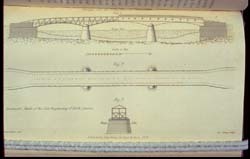 In 1838, U.S. Army topographical engineers proposed a plan to make the waterway passable. Many 19th-century construction projects were the work of civil engineers who learned their trade without benefit of formal education. Whatever knowledge they did not get from experience, they learned from guides and manuals like this one.